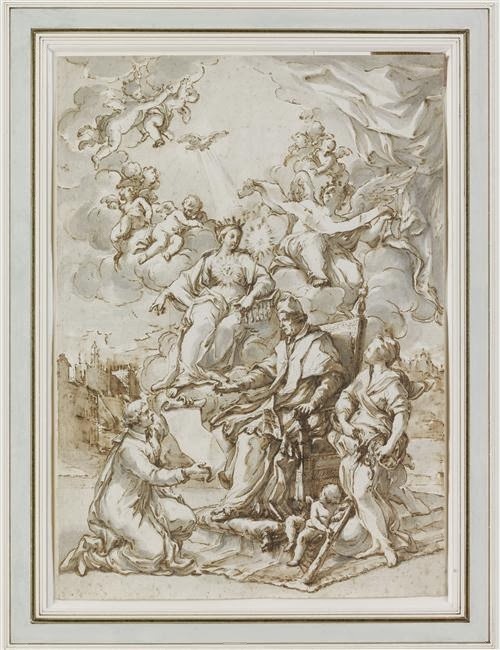 Pier Leone Ghezzi (28 June 1674 – 6 March 1755) was an Italian Rococo painter and caricaturist active in Rome. 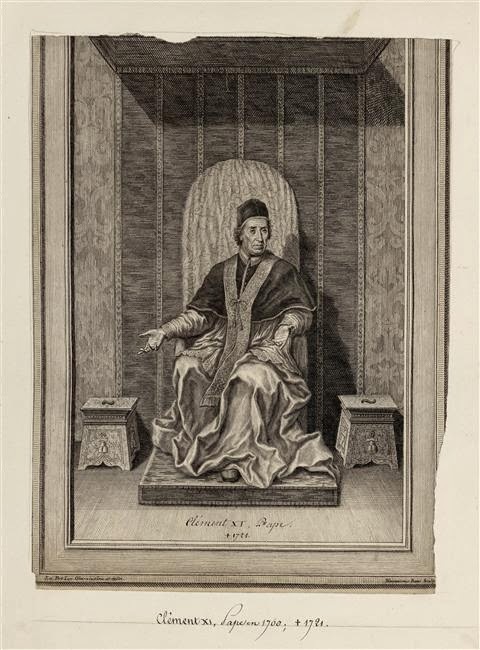 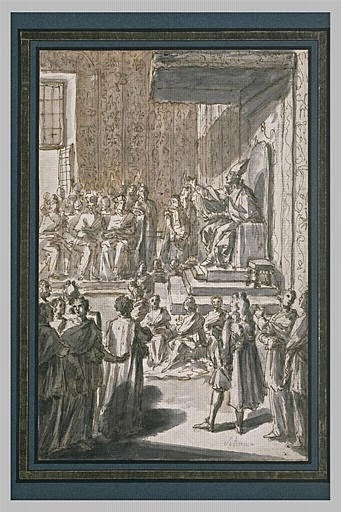 He received many commissions under Pope Clement XI (Albani). 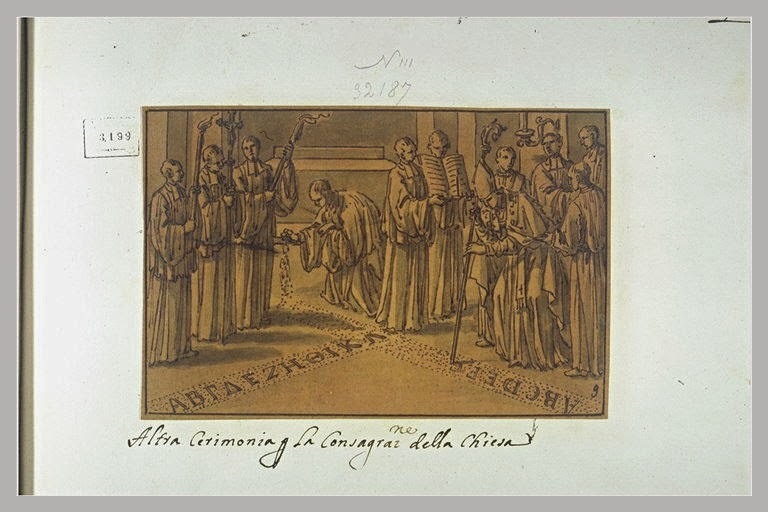 He and Albani got on well. 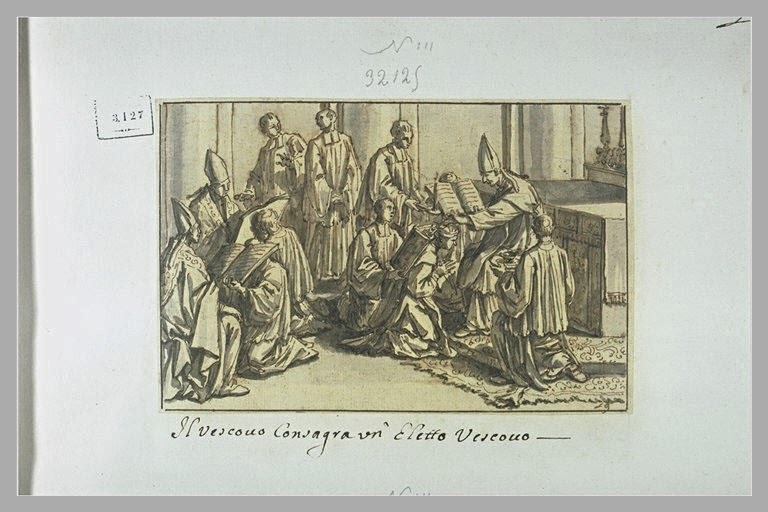 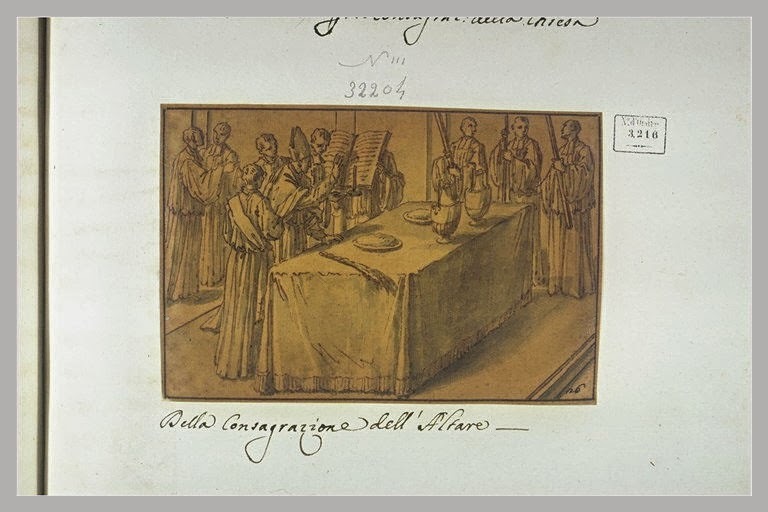 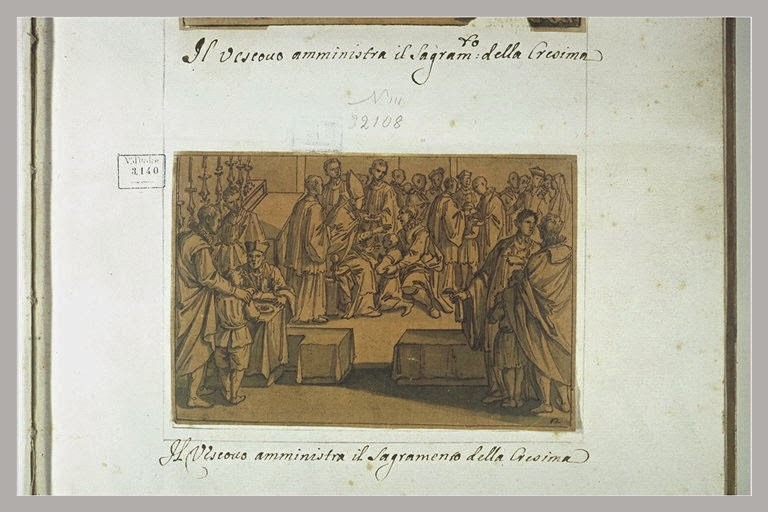 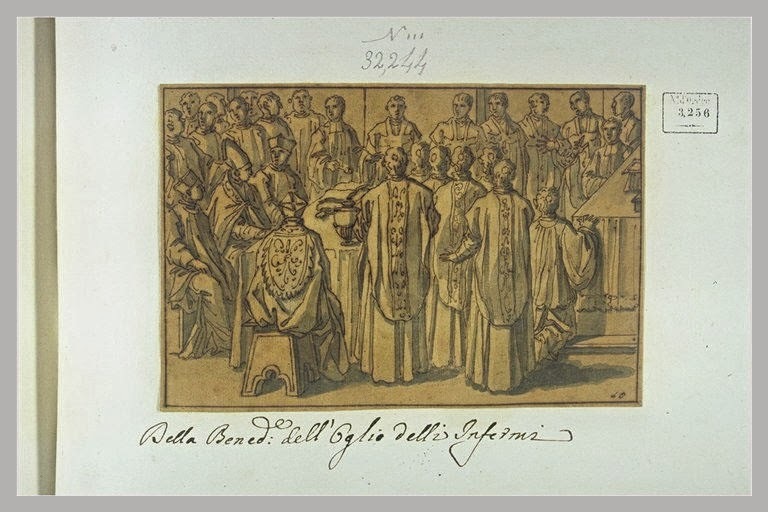 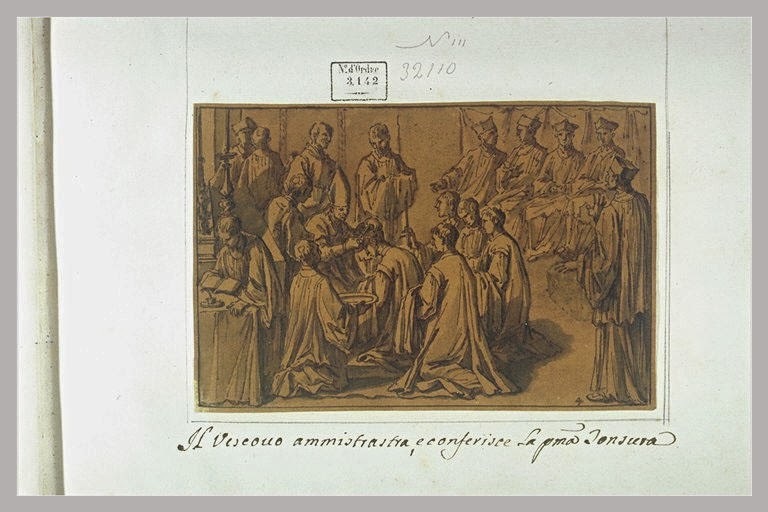 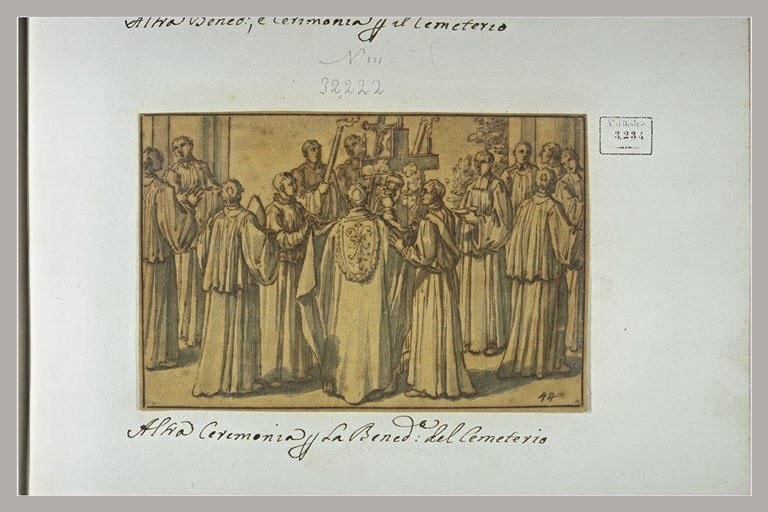 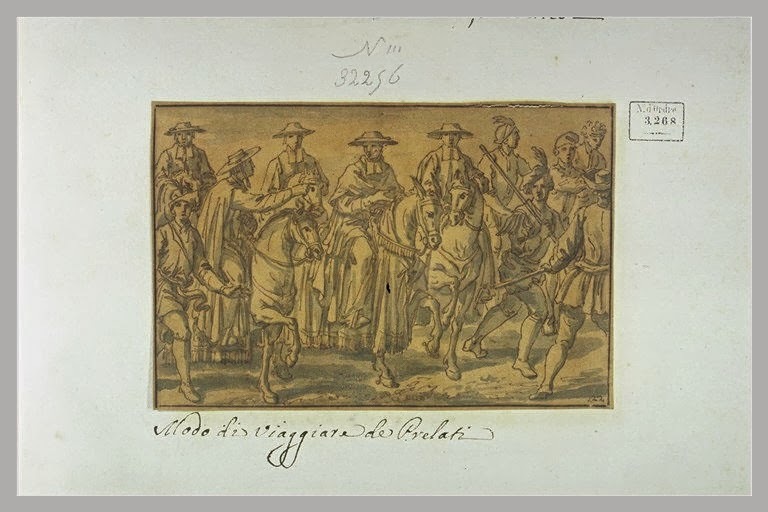 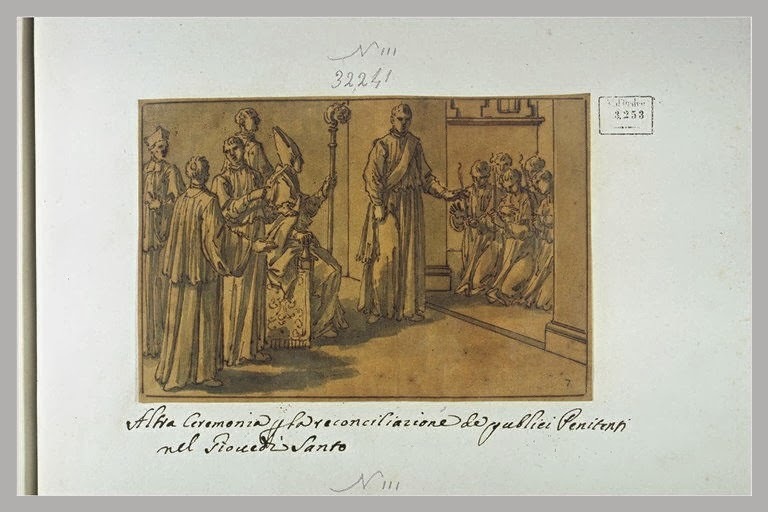 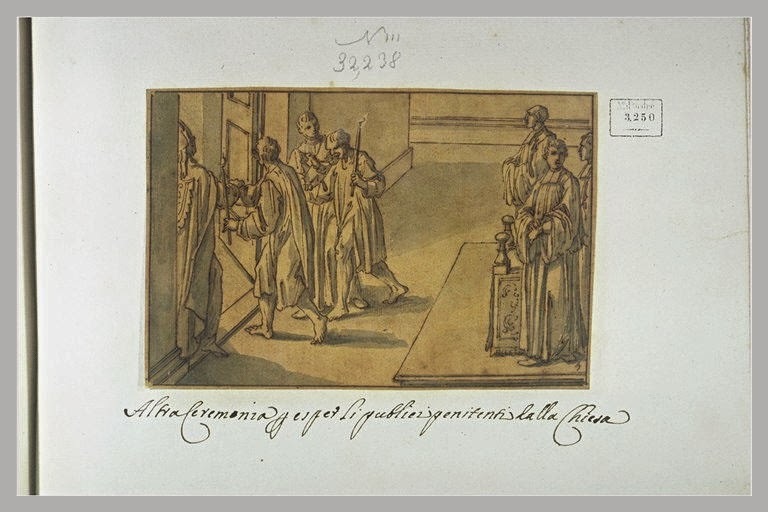 It is from Ghezzi`s drawings executed in the reign of Benedict XII we see glimpses of clerical and liturgical life during the early eighteenth century in Rome. 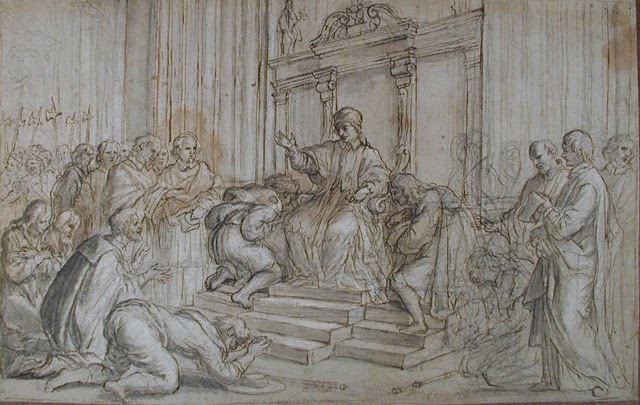 Many of these drawings are in the Louvre.